Window with Orange Curtains, 1912. Portrait of Helene Marre, 1923. At the prime of his career he painted the known series that included: the Saint-Sévrin series (1909–10); the City series (1909–11); the Eiffel Tower series (1909–12); the City of Paris series (1911–12); the Window series (1912–14); the Cardiff Team series (1913); the Circular Forms series (1913); and The First Disk (1913). 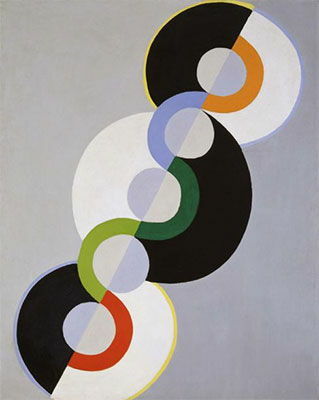 Delaunay is most closely identified with Orphism. From 1912 to 1914, he painted nonfigurative paintings based on the optical characteristics of brilliant colors that were so dynamic they would function as the form. His theories are mostly concerned with color and light and influenced many including Stanton Macdonald-Wright, Morgan Russell, Patrick Henry Bruce, Der Blaue Reiter, August Macke, Franz Marc, Paul Klee, and Lyonel Feininger. 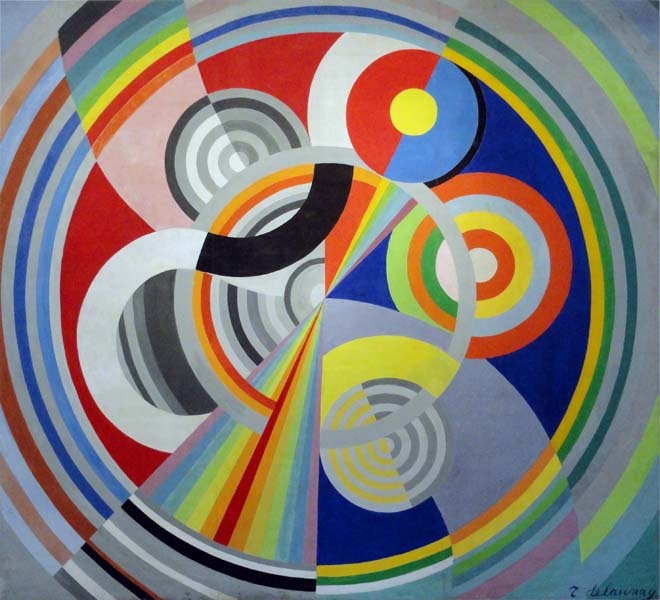 Apollinaire was strongly influenced by Delaunay’s theories of color and often quoted from them to explain Orphism. 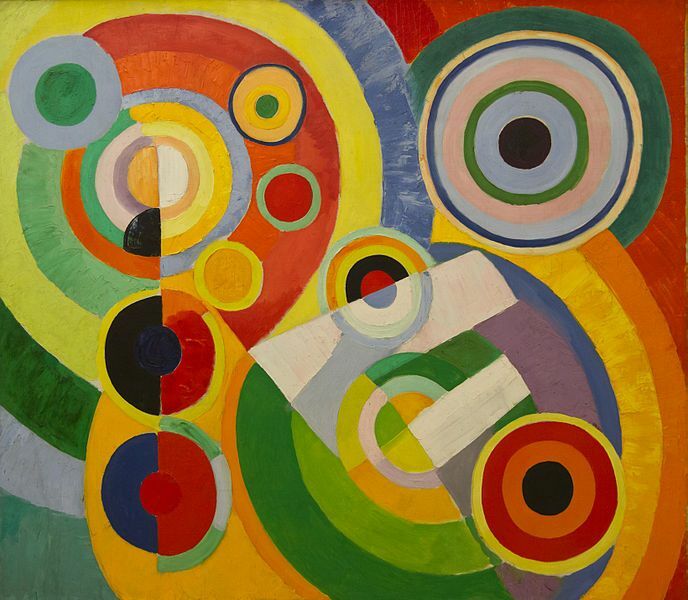 Delaunay’s fixations with color as the expressive and structural means were sustained with his study of color. His writings on color, which were influenced by scientists and theoreticians, are intuitive and can be sometimes random statements based on the belief that color is a thing in itself with its own powers of expression and form. He believes painting is a purely visual art that depends on intellectual elements, and perception is in the impact of colored light from the eye. The contrasts and harmonies of color produce in the eye simultaneous movements and correspond to movement in nature. Vision becomes the subject of painting. His early paintings are deeply rooted in Neoimpressionism. Night Scene for example has vigorous activity with the use of lively brushstrokes in bright colors against a dark background. It doesn’t define solid object but the areas that surround them. Spectral colors of Neoimpressionism were later abandoned, the Eiffel Tower series, were fragmentation of solid objects and their merging with space was learned. Influences in this series were Cézanne, Analytical Cubism, and Futurism. In the Eiffel Tower the interpenetration of tangible objects and surrounding space is accompanies by intense movement of geometric plans that are more dynamic than static equilibrium of Cubist forms. In 1908, after a term in the military working as a regimental librarian, he met Sonia Terk; at the time she was married to a German art dealer whom she would soon divorce. In 1909, Delaunay began to paint a series of studies of the city of Paris and the Eiffel Tower, the Eiffel Tower series. The following year, he married Terk, and the couple settled in a studio apartment in Paris, where their son Charles was born in January 1911. At the invitation of Wassily Kandinsky, Delaunay joined The Blue Rider (Der Blaue Reiter), a Munich-based group of abstract artists, in 1911, and his art took a turn for the abstract Delaunay was also successful in Germany, Switzerland, and Russia. He participated in the first Blanc Reiter exhibition in Munich and sold four works. 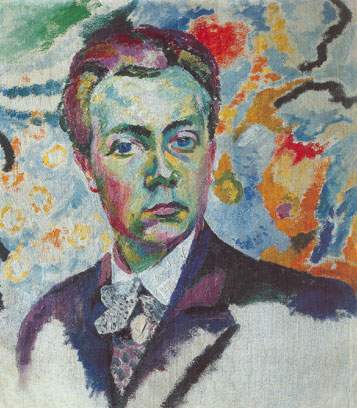 Delaunay’s paintings encouraged an enthusiastic response with Blaue Reiter. 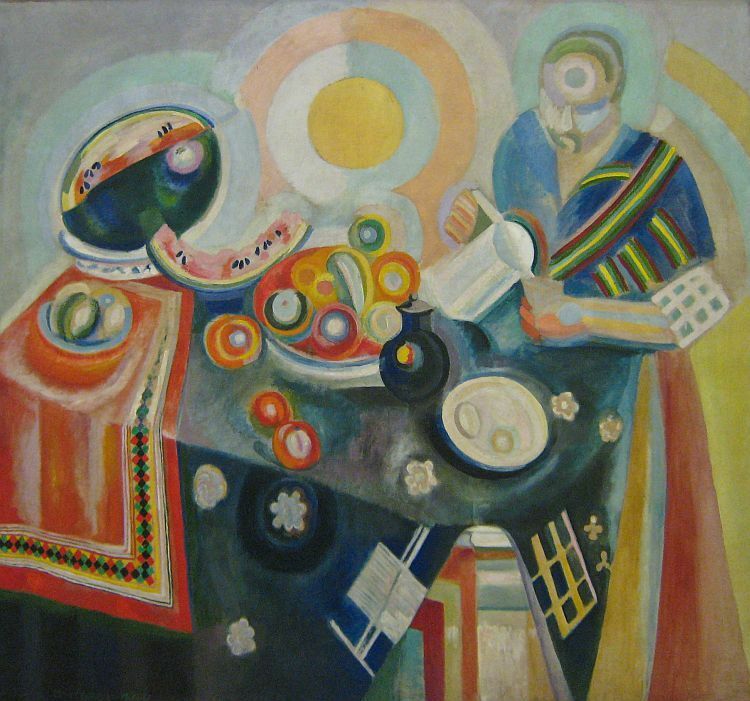 The Blaue Reiter connections led to Erwin Ritter von Busse’s article “Robert Delaunay’s Methods of Compositions” which appeared in the 1912 Blaue Reiter Almanac. 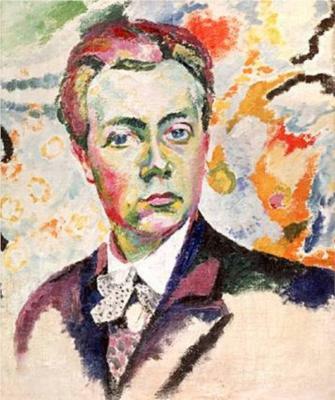 Delaunay would go to exhibit in February of that year, in the second Blaue Reiter exhibition in Munich and Valet de Carrean in Moscow. “This happened in 1912. Cubism was in full force. I made paintings that seemed like prisms compared to the Cubism my fellow artists were producing. I was the heretic of Cubism. I had great arguments with my comrades who banned color from their palette, depriving it of all elemental mobility. I was accused of returning to Impressionism, of making decorative paintings, etc.… I felt I had almost reached my goal”. 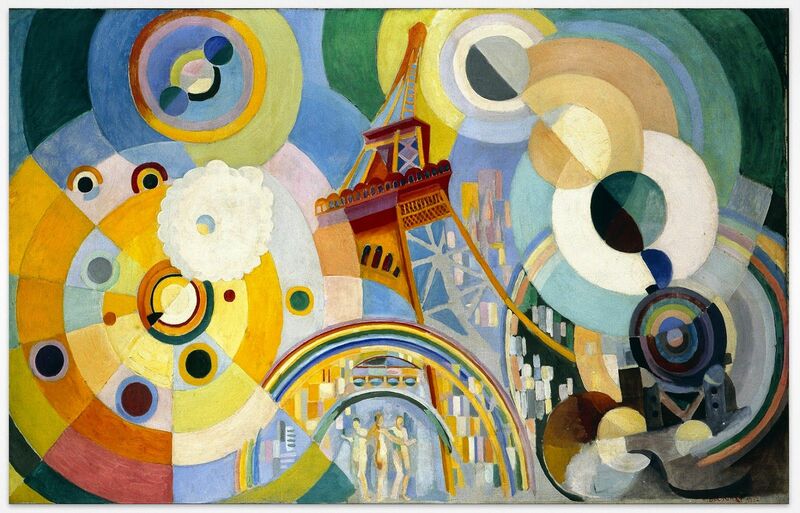 With Apollinaire, Delaunay traveled to Berlin in January 1913 for an exhibition of his work at Galerie Der Sturm. On their way back to Paris, the two stayed with August Macke in Bonn, where Macke introduced them to Max Ernst. When his painting La ville de Paris was rejected by the Armory Show as being too big he instructed Samuel Halpert to remove all his works from the show. At the outbreak of the First World War in 1914 Sonia and Robert were staying in Fontarabie in Spain. They decided not to return to France and settled in Madrid. In August 1915 they moved to Portugal where they shared a home with Samuel Halpert and Eduardo Viana. With Viana and their friends Amadeo de Souza Cardoso (whom the Delaunays had already met in Paris) and José de Almada Negreiros they discussed an artistic partnership. 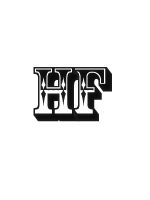 First declared a deserter, Robert was declared unfit for military duty at the French consulate in Vigo on June 13, 1916. The Russian Revolution brought an end to the financial support Sonia received from her family in Russia, and a different source of income was needed. In 1917 the Delaunays met Sergei Diaghilev in Madrid. 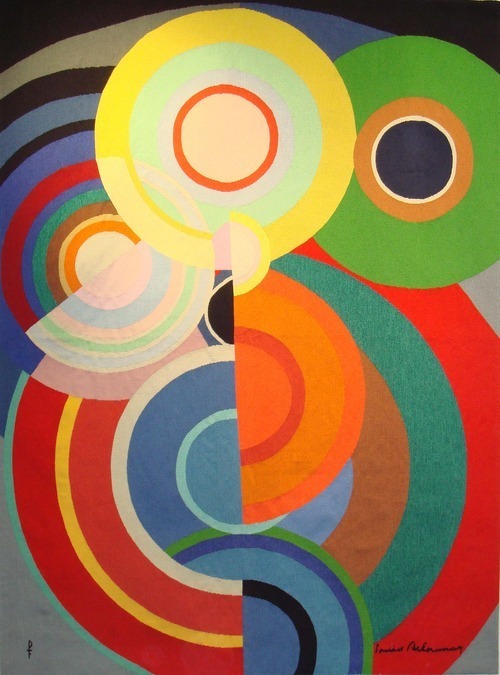 Robert designed the stage for his production of Cleopatra (costume design by Sonia Delaunay). Robert Delaunay illustrates Tour Eiffel for Vicente Huidobro. Paul Poiret refused a business partnership with Sonia in 1920, citing as one of the reasons her marriage to a deserter. The Der Sturm gallery in Berlin showed works by Sonia and Robert from their Portuguese period the same year. After the war, in 1921, they returned to Paris. 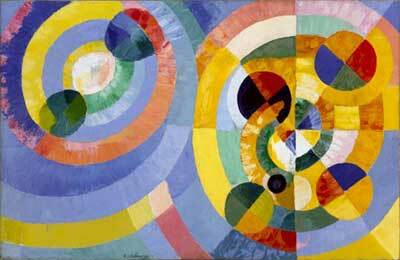 Delaunay continued to work in a mostly abstract style. During the 1937 World Fair in Paris, Delaunay participated in the design of the railway and air travel pavilions. When World War II erupted, the Delaunays moved to the Auvergne, in an effort to avoid the invading German forces. 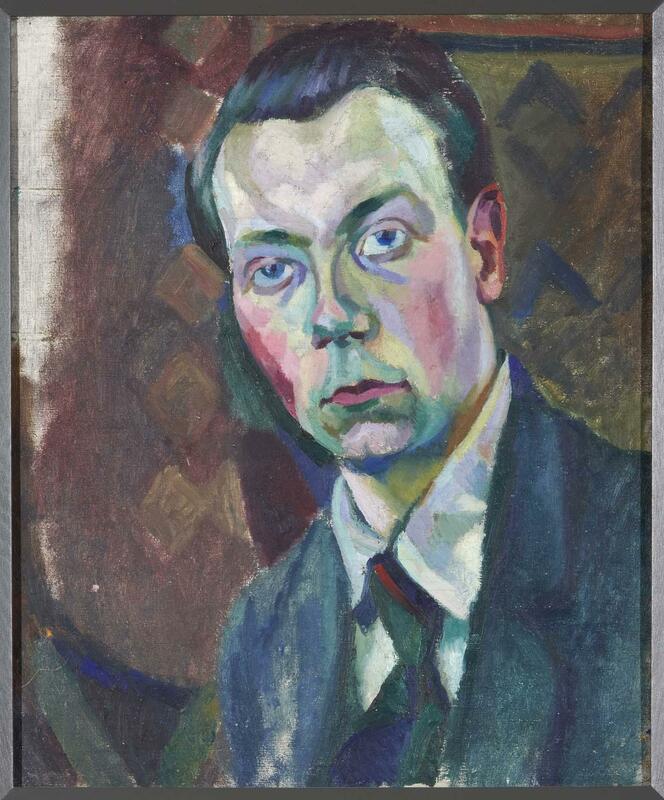 Suffering from cancer, Delaunay was unable to endure being moved around, and his health deteriorated. He died from cancer on 25 October 1941 in Montpellier at the age of 56. His body was reburied in 1952 in Gambais.